Mild concussion is a medical condition in which a person experiences temporary abnormal functioning of the brain due to a head injury or certain other physical traumatic experiences. 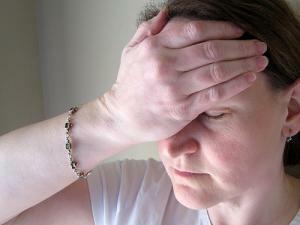 Most cases include certain common types of symptoms such as unconsciousness, confusion, headache, vomiting and nausea. Brain injury is medically referred to as concussion and it involves a physical trauma that affects the head portion of the human body. Sometimes the doctors may refer to it as the mild traumatic brain injury. Head injuries that are accompanied by bleeding in the brain or inside the cranium cannot be referred to as concussions since they are not mild in any way and they are among the severe traumatic brain injuries. Concussions can be caused by numerous factors but the most common ones are hard blows in the head, accidental falls and motor accidents, among others. Some types of sports which involve close contact such as hockey, football and boxing can sometimes cause the persons to suffer mild concussions. Most symptoms of mild concussions can be relieved by utilizing appropriate therapeutic interventions and methods. The hard bones of the skull protect the brain, and when a head gets exposed to a physical trauma the brain can get sloshed inside the cranium and it may also bang on the sides of the cranium. If that occurs the blood vessels may get damaged and the nerve system’s functioning may get compromised. These occurrences trigger the concussion. Severe concussion can be distinguished from the mild ones by the degree of brain injury. Mild concussions may sometimes include a loss of consciousness, while their severe counterparts always involve a loss of consciousness which sometimes can be present for extended periods of time. Mild concussions involve disturbances in the normal functioning of the brain for a short period of time. The symptoms of mild concussions may include headaches, irritability, ringing in the ears, increased fatigue without reason, confusion, sensitivity to light, short-term memory loss, blurred vision, vomiting, difficulty in coordination, dizziness, nausea, and slurred speech. It is very difficult to diagnose mild concussions because the symptoms may not be that distinct in all cases. If a person suffers a concussion, she or he needs to seek immediate medical attention. Certain tests need to be run in order to diagnose the condition properly. The most important part of the treatment for mild concussion is physical and mental rest, for as long as possible. Comments and reviews on article "Traumatic Brain Injury Symptoms"
Does anyone know a doctor that can prescribe Adderall for TBI too a patient outside USA??? Thank Yo!